India is one of the fastest growing and complex markets for inclusive finance, where there is a huge opportunity to extend financial services to the underserved. Yet the country has struggled in the past with unbridled growth of the microfinance sector leading to a crisis in debt stress, notably in Andhra Pradesh in 2010. Policymakers and networks of microfinance institutions actively responded to these crises and elevated consumer protection on the policy agenda. But it’s one thing for regulators to signal policy support for consumer protection. It’s quite another to tackle the nuts and bolts of implementing best practices, especially in such a complex market as India. 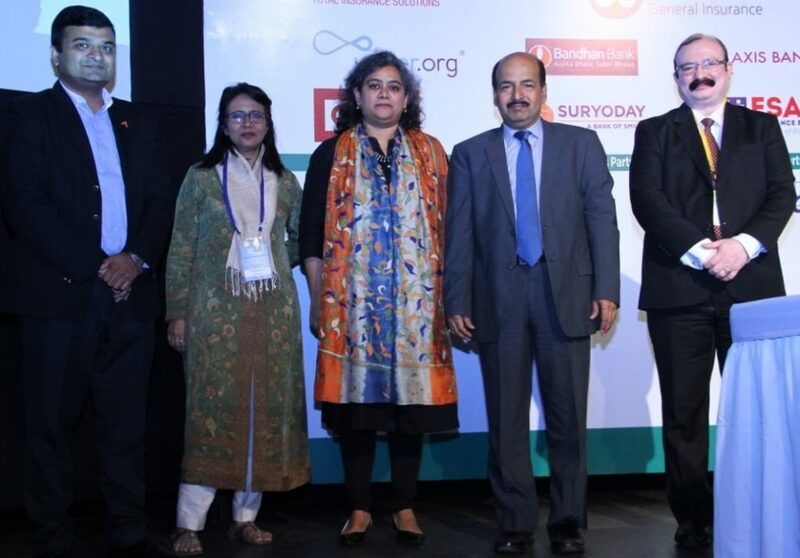 The Sa-Dhan monitoring tool was announced at a launch event during the Sa-Dhan Annual Conference in New Delhi in September 2018. One of the scalable solutions to arise in India is the concept of microfinance networks as Self-Regulatory Organizations (SROs). Networks that have been designated by the Reserve Bank of India (RBI) as SRO networks are responsible for monitoring compliance of member MFIs to the microfinance industry code of conduct and providing an effective grievance redressal mechanism between borrowers and member institutions. Sa-Dhan, the largest organization of community banks in India, was designated an SRO in 2015. While Sa-Dhan had previously filled a quasi-regulatory role, this official designation expanded its mandate for monitoring and enforcement, in turn expanding its need for tools to identify and respond to risks at both the market and institution levels. Aiming to make a country-wide impact on the state of consumer protection in India, CFI’s Smart Campaign and Accion’s Global Advisory Services collaborated with Sa-Dhan to build a digital monitoring tool based on the Smart Campaign’s global standards for financial consumer protection and local regulatory guidelines. The tool is to be the vehicle through which Sa-Dhan collects the information it needs from its members to fulfill its supervisory role in monitoring compliance with the code of conduct. Accion’s advisory team led the digitization of the tool, building of the data warehouse, and the corresponding web platform. The tool was officially launched at Sa-Dhan’s annual conference with technical and financial support from the International Finance Corporation. Sa-Dhan’s members can now efficiently self-report data through the tool’s online interface and Sa-Dhan can quantitatively assess market dynamics, especially areas of over-indebtedness risk. The tool is to be the vehicle through which Sa-Dhan collects the information it needs from its members to fulfill its supervisory role in monitoring compliance with the code of conduct. This new monitoring mechanism will help to instill consumer protection in Sa-Dhan’s nearly 200 member MFIs and protect more than 30 million clients in India. After the initial rollout and training workshops for MFIs across the country, Sa-Dhan will put the tool into practice and will use the reports in consultation with the RBI to identify “hot spots” of overindebtedness or lack of compliance to the code of conduct. These reports will also help Sa-Dhan identify under-penetrated areas and help lenders to expand services. India’s experimentation with self-regulation holds lessons for the world. Traditionally, self-regulation models have been met with skepticism, especially regarding how non-government networks can monitor and enforce compliance among members. The collaboration between the RBI and SROs in India give weight to the microfinance networks through a layered regulatory approach, and technology advances can build capacity of networks like Sa-Dhan to access data from their members and oversee performance. The Sa-Dhan monitoring tool can serve as a model for expanding consumer protection in other markets, especially those where there are concerns of rising debt stress. Better monitoring tools can serve as an early warning system and help provider networks or regulators head off crises before they spread.